We have chiefly chosen the route, taking you to the Kunbar area of Tibetan, which the national cultures, have being more developed since thousands of years. 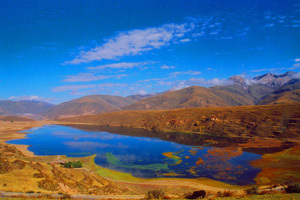 There are many characteristic lamaseries, monasteries, vast grasslands, primitive forests, etc along this way. At the same time, you can find the pasture lands and most plants in the plateau here and there. 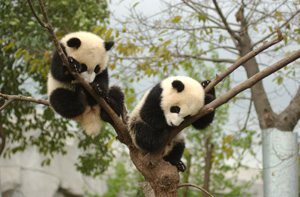 By the time to the pleasure journey is ended, you will stay in the Panda Protect Area for one or two days, observing the lovely animals. Day 1: Fly to Beijing. Day 2: Arrive Beijing, overnight Beijing. Live in Taiwan Hotel or the same level. Day 3: In Beijing. Visit Forbidden City and Temple of Heaven. Live in Taiwan Hotel or the same level. Day 4: Fly Beijing to Chengdu. Live in Jinghe Hotel or the same level. Day 12: Drive from north of Bamda to Qamdo (160Km or so). Live in Qamdo Hotel or the same level. 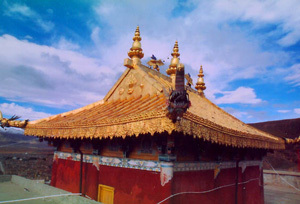 Day 13: See lamasery, drive from Qamdo to Dege (338Km). Live in hotel. Day 14: See Sutra Printing Hall & lamasery, drive from Dege to Ganzi (205Km). Live in hotel. Day 15: In Ganzi, see lamaseries etc. Live in Ganzi Hotel. Day 17: Drive from south of Dawu via Bamei, Danba and Xiojin to Wolong (about 330Km). Live in hotel. Day 18: In Wolong area. Live in hotel. Day 19: Drive from Wolong via Dujiangyan to Chengdu (135Km). Live in Jinghe Hotel or the same level. Day 20: Fly Chengdu to Beijing. Live in Taiwan Hotel or the same level. Day 21: In Beijing. Visit Great Wall at Mutianyu and Ming Tombs. Live in Taiwan Hotel or the same level.